The image of a lawyer arguing inside of a courtroom about a child custody case is a common image many people seem to have. But it’s not the only image you should have about lawyers. With a law degree there are many options for graduates, options you need to hear about! With a law degree, lawyers can become real estate lawyers, patent lawyers, or environmental lawyers. There are so many options for those who hold a law degree. And, interestingly, these types of lawyers don’t spend their work days in a courtroom. Instead, they spend a lot of time working closely with clients, completing paperwork, and researching cases. Because a law degree provides students with valuable skills in research, writing, and communication, some law degree graduates choose a career that doesn’t involve law at all. Some law degree holders work for non-profit organizations, using their writing skills to write grants. Some lawyers work at colleges and universities in order to promote the school through fundraising. And other lawyers work in schools as political science or writing teachers. There may be other careers that require a critical thinker, researcher, and good writer. Be creative! 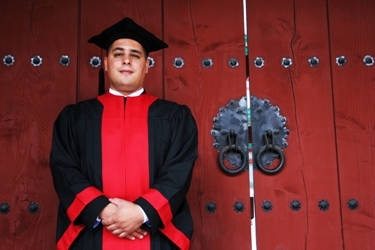 A law degree can open up doors in many directions other than in litigation. The great thing about earning a law degree is that you will have options. After 15 years working as a lawyer, maybe you will want to work for a non-profit organization, or teach the skills and information you have to high school students. With a law degree, the possibilities are endless and exciting. A great way to figure out if a career path is for you or not is to job shadow. Let’s say you’re interested in becoming an environmental lawyer. Research a lawyer that you wish to shadow and send him or her an e-mail making that request. Although this may seem intimidating, remember that they were in your shoes once before. Or it may be helpful to find alum from the law school you attended so that there is a commonality between you. The main point is to get out there and discover if practicing law and attending law school is right for you.